Centerville Road overrun by surf on Dec. 17. The road will be closed Thursday at 5 a.m. until Friday at 7 a.m.
A Small Stream Flood Advisory was issued just before 5 p.m. today for Southern Humboldt, which is in effect until 7:15 p.m. 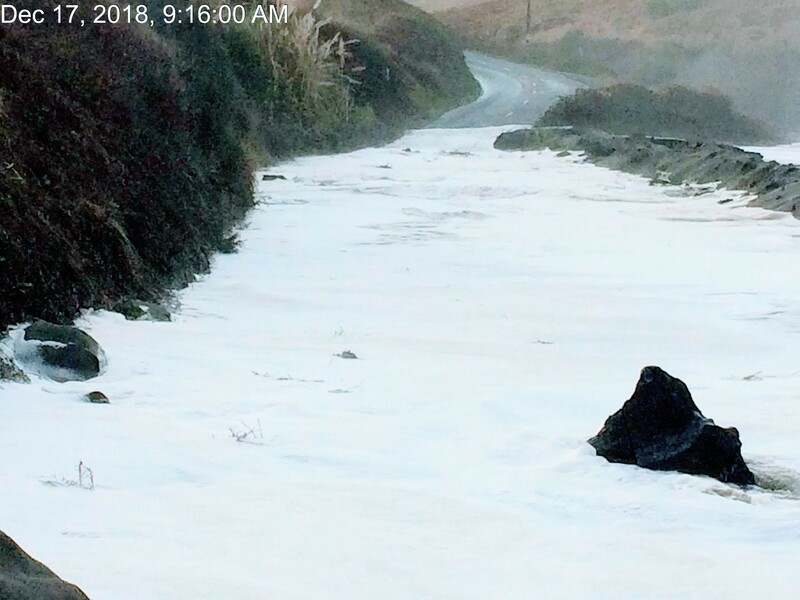 The county has pushed back its closure of Centerville Road to 5 a.m. Thursday and continuing until 7 a.m. Friday due to hazardous surf. As you may have heard, a big winter storm is heading our way today bringing the usual ensemble of rain, heavy winds and high surf. A wind advisory is in effect from 1 to 10 p.m. today, while a high surf advisory goes into effect at 5 a.m. Thursday and will continue to 5 a.m. on Friday with “rapid building waves up to 30 feet" forecast. The National Weather Service expects the highest surf to hit along west and southwest facing beaches. 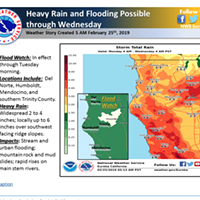 For the latest information about specific areas of Humboldt, visit the National Weather Service website here and enter a city or ZIP code in the top left-hand corner search box. 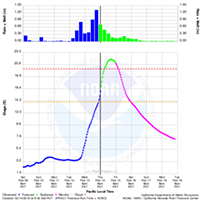 Southern Humboldt will be under a flood watch from 6 p.m. today until tomorrow morning with the Eel River expected to “rise tonight and Thursday, cresting Thursday afternoon or Thursday night,” the weather service states. 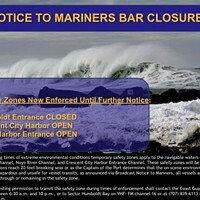 Centerville Road P.M. 4.62 at Humboldt County Park will be closing at 5 am on January 17, 2019 until Friday January 18, 2019 at 7 am, due to hazardous surf conditions. Remember do not attempt to cross deep standing water on any road way as it can cause vehicle damage or put individuals in harm’s way.